With the increase of Android operating systems on mobile devices, many applications have been developed to increase the interactivity of the user. These applications, though useful, drain a lot of power from you battery. The more your battery is used, the shorter its lifespan will be. Here are 10 tips on how you can save the battery life of your Android device. 1) Find out which applications use up more power – Most Android devices come with the ability to check on the battery usage. Go to the settings, and look for the battery function. Once you access this feature, you will see a list of applications, and the percentage of power that each is using. Disable the applications that you do not need. Another function that drains the power of your battery is the screen display. You can reduce the brightness settings, and if you have an AMOLED screen, you can set the background to black. This will reduce the usage of the battery by up to 7 times. 2) Turn of the sync functionality – Applications such as Gmail, Facebook, and the mobile developers sync servers, will always sync data on your phone. 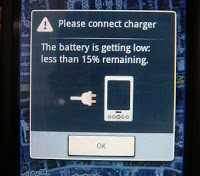 This means that without you knowledge, the phone is using more power, although you think that it is in a dormant state. The best way to do this is to turn off the Auto-sync feature, and only sync manually, when you need to. 3) Turn off any GPS features – Granted, the use of GPS is very important, especially when you need people to know where you are at any given time. However, this feature keeps on transmitting data to the closest GPS satellite, even when you are not actively using your device. If your last location is at home, then you can safely switch of the GPS feature, and save on power consumption. Look for the GPS settings on your device, and turn it off. 4) Turn off the Wi-Fi connection – The Wi-Fi feature on your device is important when you need to access the internet from a location that allows the connection to go through. However, if you are in an area where there is no Wi-Fi, You should turn it off, since the device will continue to scan for a connection, where one does not exist, thereby draining a lot of power from your battery. Go to your Wi-Fi connections, and turn it off. 5) Turn off the Bluetooth connection – Similar to the Wi-Fi connection, Bluetooth will also keep scanning for connections, where there are none. If you do not need the function, then you should turn it off. 6) Using the power control feature – Most android devices have a widget that you can use to limit the amount of power required at any one time. Basically, this is a feature that you can use to disable unnecessary applications from one screen. You do not have to adjust the settings of the applications individually, since they will be listed in this widget, and you can simple disable them from here. Simply long-press the background of the main screen; select Widget –> Power Control, and disable applications from the screen. 7) Turn off the vibration feature – If you device is not on silent mode, then you do not need the vibration feature. Many people do not know that this feature does increase the power consumption of their device. 8) Turn off any animated wallpapers – Animated wallpapers are fun to watch, and show off to your friends, but after a while, it will only serve the purpose of draining more power from your battery. This feature uses up a lot of power since the animation loops on endlessly. By turning off any animated wallpapers, you will be saving a lot of power. 9) Adjust the timeout interval of your screen – As discussed earlier, the display uses a lot of power when it is on. By shortening the timeout interval for the display, you ensure that it goes off quickly, once you are through, using your device. This will save you plenty of power in the long run, and increase the battery life of your device. 10) Do not leave any applications running once you are through with them – Common sense dictates that you close an application when you are through with it. However, there are people who minimize applications, and forget that they are running in the background. These applications will continue draining power from your battery, without your knowledge. Make it a habit to turn off applications when you are through with them. With these few tips, you will increase the battery life of your Android device, and you will not be making a trip to the store to buy a new battery – if you have a removable battery.